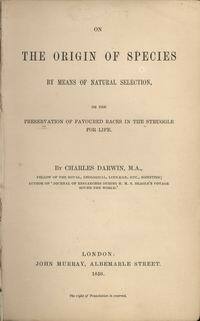 Charles Darwin’s On the Origin of Species by Means of Natural Selection is published. It becomes the foundation of evolutionary biology, and revolutionizes our understanding of life on earth. The Hollywood Ten are cited for contempt, and then blacklisted, for refusing to answer questions about their political beliefs after being summoned by the House Committee on Un-American Activities. 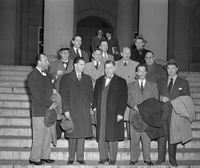 The Ten are: Alvah Bessie, Herbert Biberman, Lester Cole, Edward Dmytryk, Ring Lardner Jr., John Howard Lawson, Albert Maltz, Samuel Ornitz, Adrian Scott, Dalton Trumbo. A fire in a garment factory in Dakka, Bangladesh, kills more than 110 workers. The Tazreen Fashions building was reported to lack fire escapes, trapping workers on the upper floors of the nine-storey building. From 2006 to 2012, more than 500 workers have died in factory fires in Bangladesh. Efforts by workers to improve their pay and working conditions meet with fierce resistance: earlier in 2012, a union organizer, Aminul Islam, was tortured and killed in Dakka.